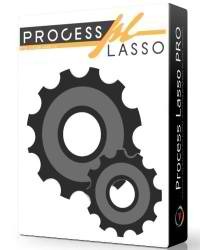 We’ve released Process Lasso v8.9.6, another minor update. See the revision list below. Meanwhile, work continues on the v9 alpha branch, where we can break free of some of the constraints placed on us in the stable v8 branch. 8.9.6.0 Fix GUI Fix case where ‘View Log’ button is too short for German and Polish text (by editing text). 8.9.6.0 Change GUI Updated list of tamper resistant processes that shouldn’t be touched. 8.9.6.0 Change GUI Expand width of ‘Show revision history’ button on update dialog to support longer languages. 8.9.6.0 Change Logging Do not log process termination by default. Some users were confused by this, and they tend to contribute to log flooding.